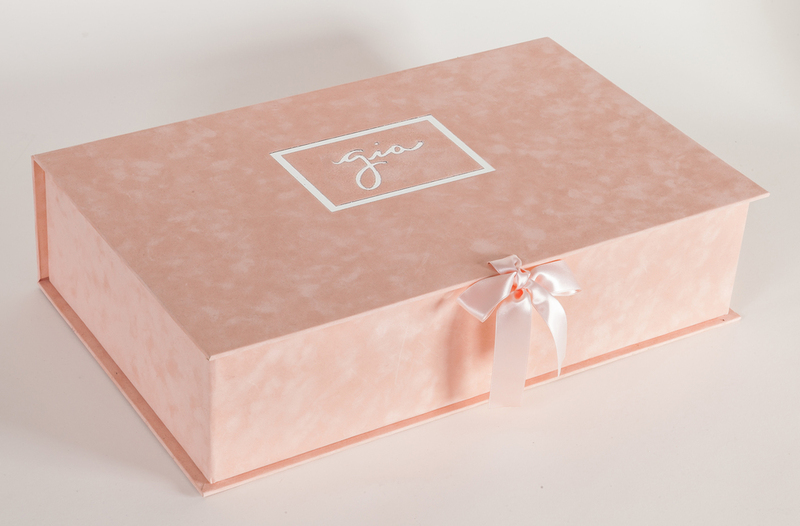 Everyone loves a good box, a container that holds intrigue, something worthy, a gift. 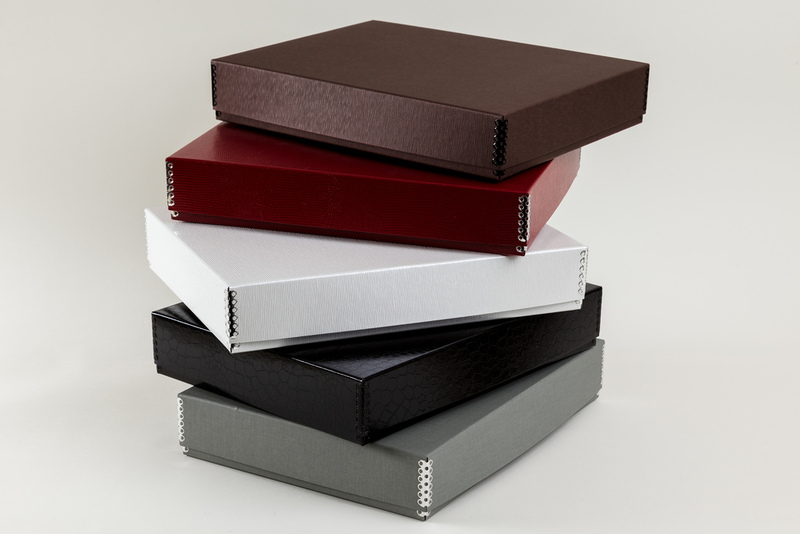 Soolip's box making capabilities not only has surpassed the common denominator box maker, but has elevated this hard-to-find craft into one that holds its weight within the Soolip standard. 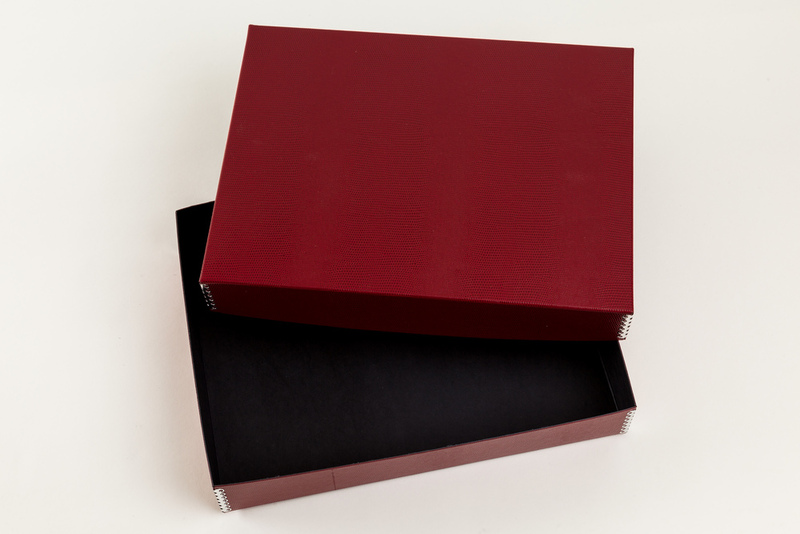 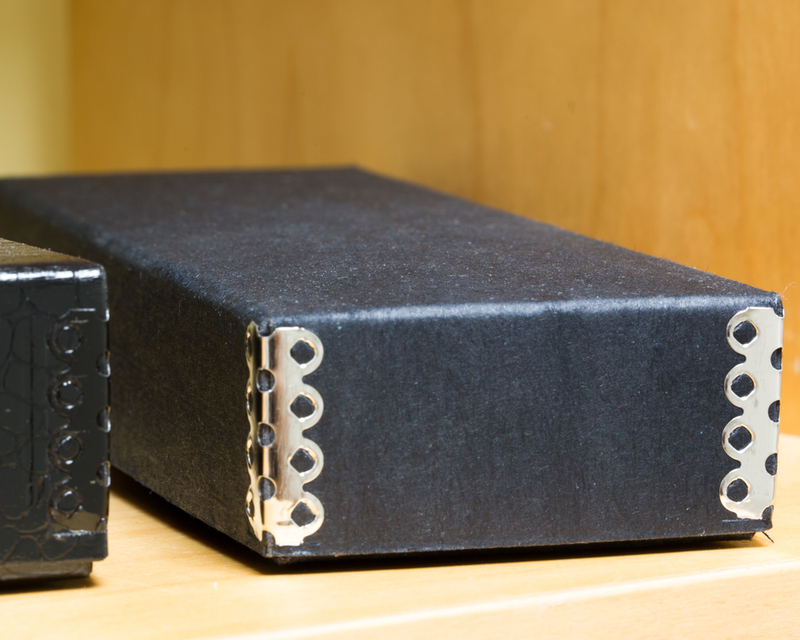 From one-of-a-kind boxes covered in luxe black velour accented with a matte gold calligraphered monogram and a cream double face satin ribbon, to 1,000 lacquered lipstick red jewel boxes containing a brand's top selling item, these and much more are within our vision and production capabilities. 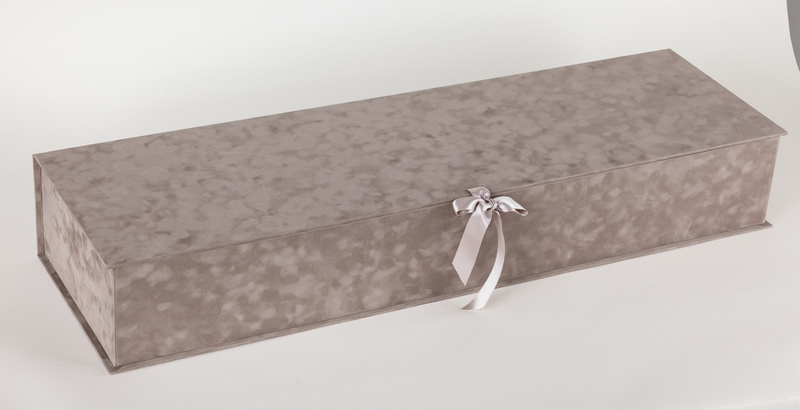 Our most seductive box style, this piece is characterized by its inviting ribbon tie closure that accentuates the fascination of what lies inside. 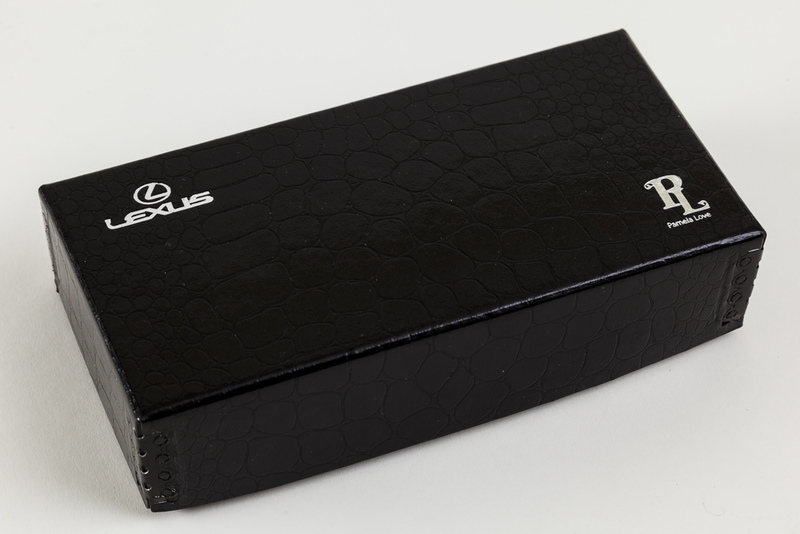 Sleek and streamlined, this box style has a hidden magnetic feature embedded on the inside lid and the box body that keeps this box closed. 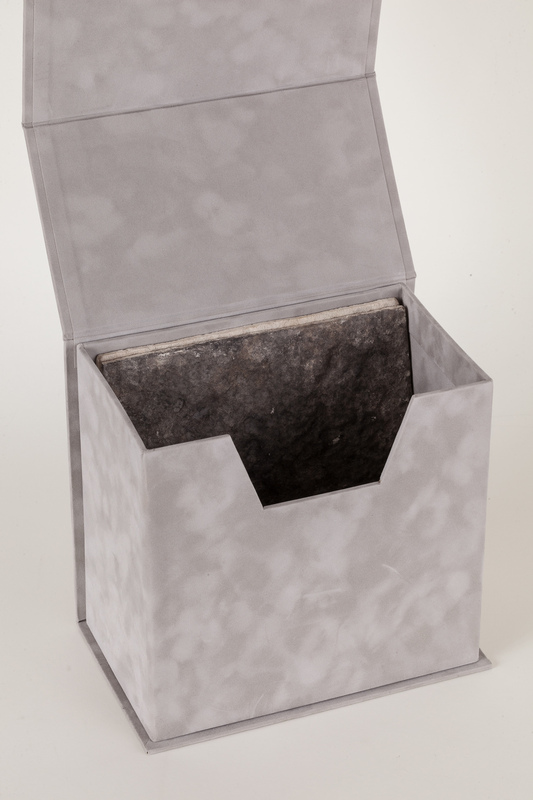 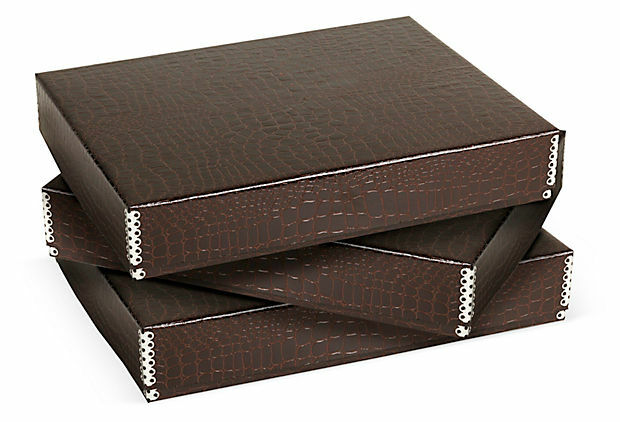 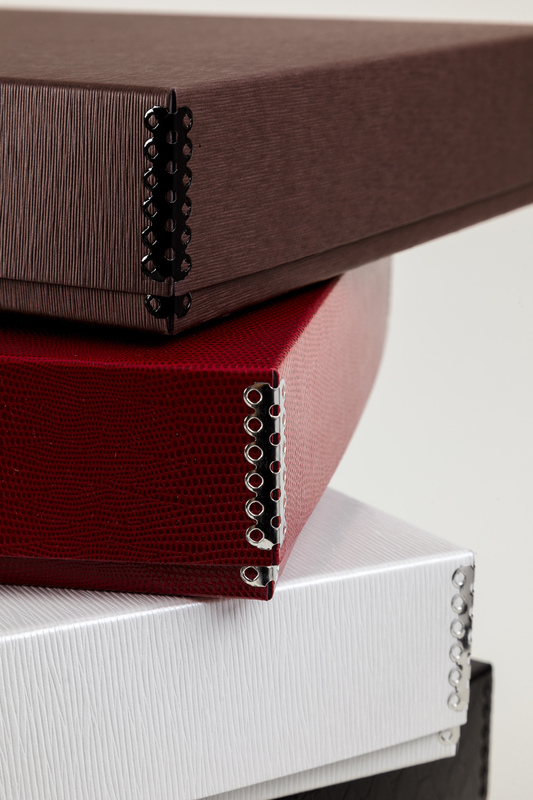 Our most popular box style due to price and functionality, this box style features metal edge corners, in either chrome or black, that add a chic, utilitarian sensibility.